The networking reception will take place precisely on May 9th – Europe’s Day and is co-organised by 10 bilateral chambers of commerce: Advantage Austria, Belgium Bulgaria Luxembourg Business Club, British-Bulgarian Business Association, Bulgarian-Romanian Chamber of Commerce and Industry, Confindustria Bulgaria, French-Bulgarian Chamber of Commerce and Industry, German-Bulgarian Chamber of Commerce and Industry, Hungarian-Bulgarian Chamber of Commerce, Italian Chamber of Commerce in Bulgaria, Swedish-Bulgarian Chamber of Commerce. Considering ongoing EU events, the international business community in Bulgaria would like to send out a message of unity and unyielding belief that successful business knows no borders and thrives in versatility, fair competition and rule of law. The joint efforts of the 10 co-organising Chambers are expected to result in a top-notch business networking reception with over 400 attendees. Decision makers, top and middle level management representatives of the international business will participate and use the B2B networking opportunities to look for new partners, suppliers, clients and distributors. Don’t miss out on the opportunity to be part of the biggest cross-Chamber networking event of 2019. Formal invited guests of the event will include the Minister of Economy, Mr. Emil Karanikolov, the Head of the European Commission Representation in Bulgaria, Mr. Ognyan Zlatev and representatives of the diplomatic corps. Participation fees for member-companies of the co-organizing 10 Chambers is BGN 60 per person. Due to venue restrictions participation is limited to 2 representatives per company. 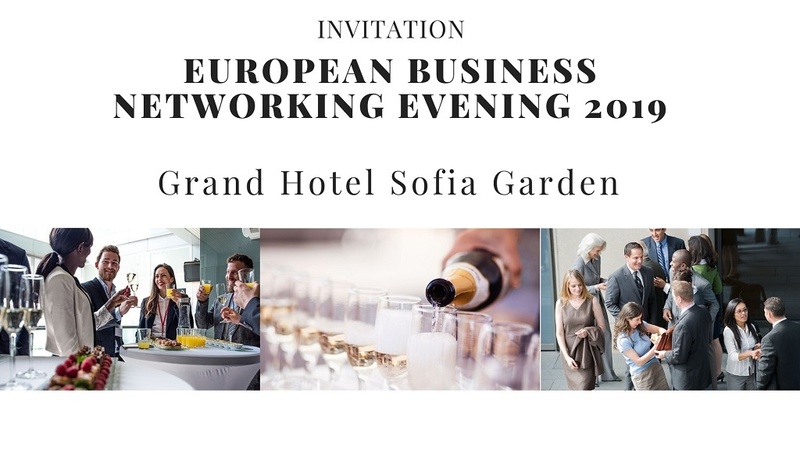 If you are interested in promoting your products and services among the 400+ guests, who include top and middle management of the international businesses in Bulgaria, please review and consider the attached SPONSORSHIP OPPORTUNITIES. Please note that registration is only confirmed after proof of participation fee payment. Cancellations of paid registrations are accepted only until May 6 the 20:00. Late cancellations and no-shows will not be refunded.